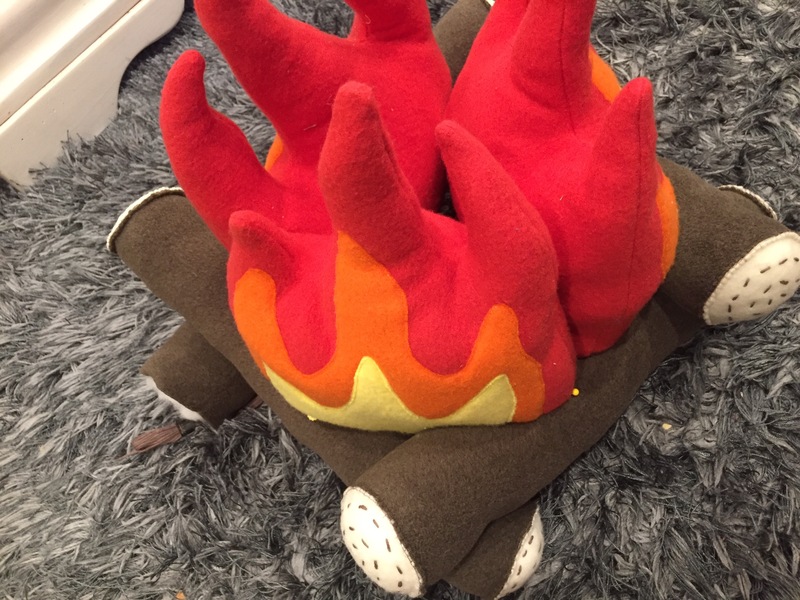 campfire diy | ARTZCOOL'S BLOG! Before I start my step by step instructions, here is a glimpse of the finished project…. 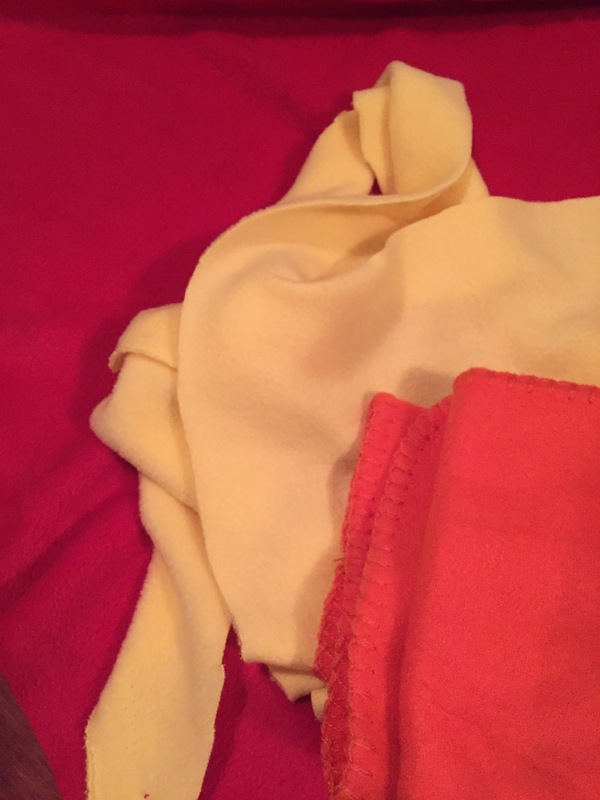 I have seen these made out of felt before, but I decided to use polar fleece material because it is brightly coloured, durable, stretchy, and even better, I have a whole pile of it laying around! 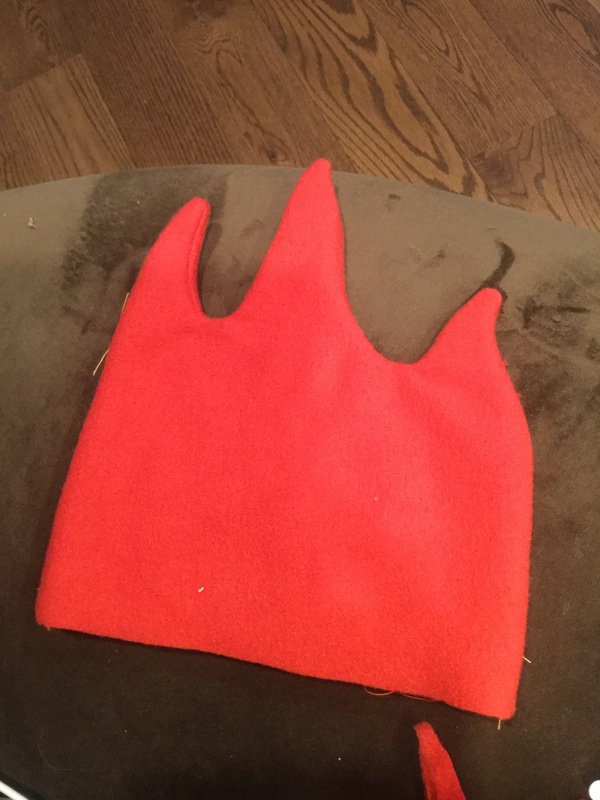 I cut out a red flame shape out of the red to start. 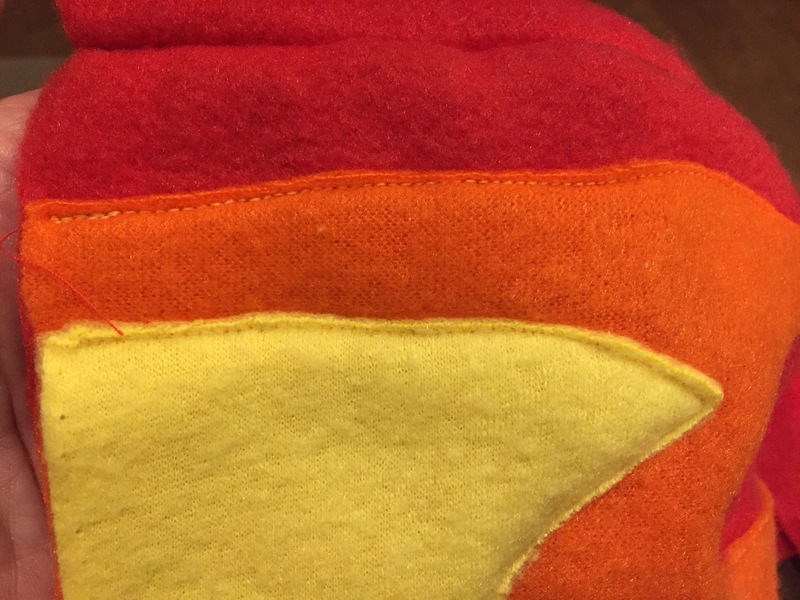 Then I cut out slightly smaller flames out of orange and yellow. 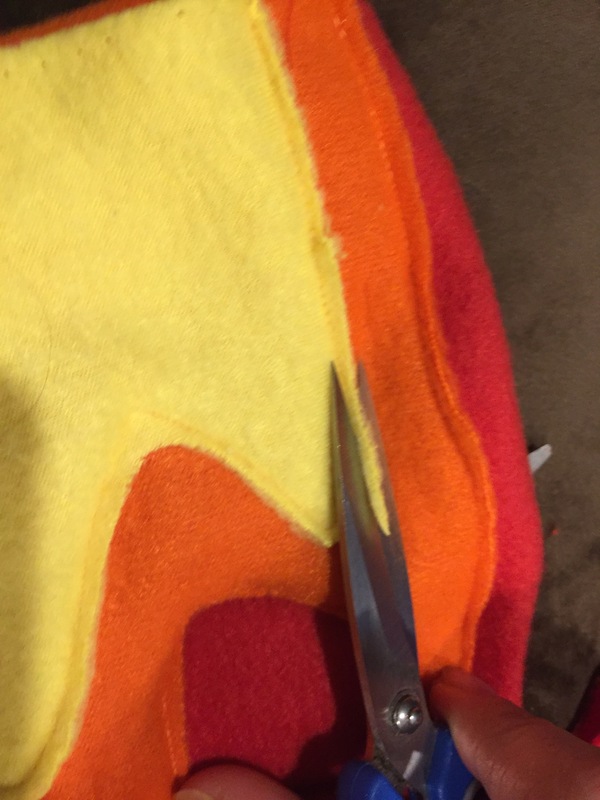 I sewed around the perimeter of the yellow and orange flames with my sewing machine. And clipped around my stitching to clean it up. 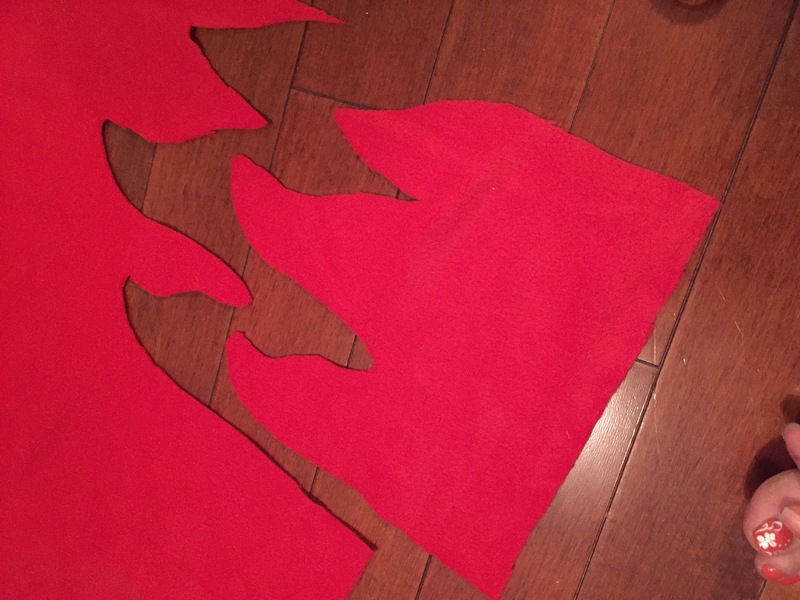 Then, I cut out an identical plain red flame, using the first one as a template. 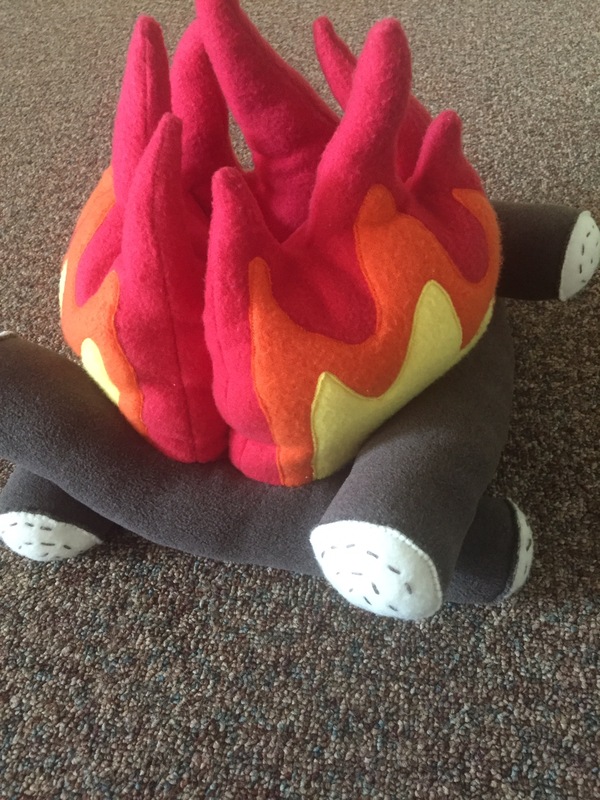 And I stitched around the edges of the flames, and flipped it right side out. 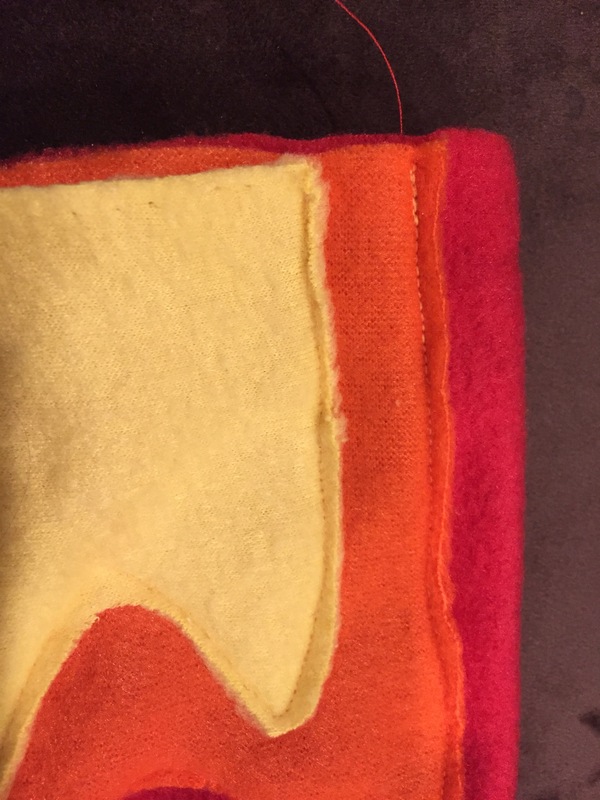 Here is what the flame looks like with the edges trimmed down. Now for the logs…I forgot to take a pic of sewing the logs, but basically, I just cut out two rectangles and sewed one side together to make tubes. 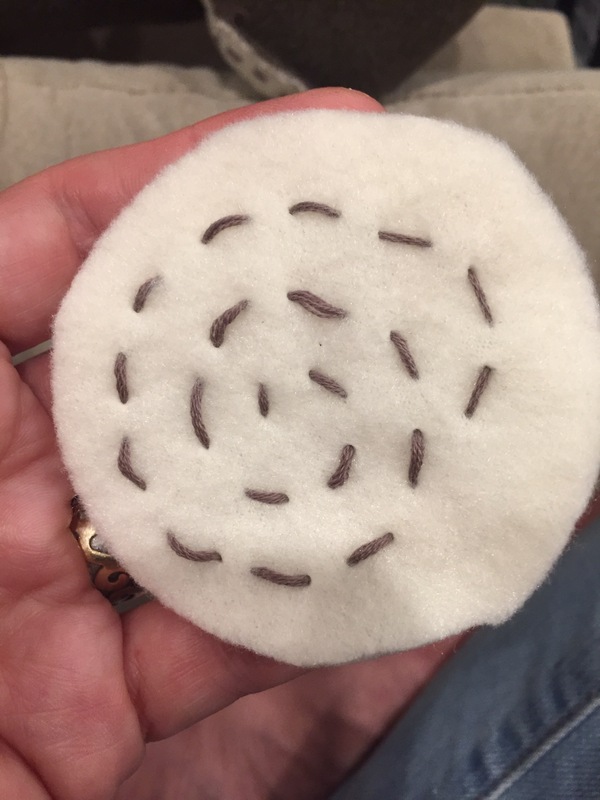 Then, I cut out two circles out of a beige colour, and used embroidery floss to stitch a wood grain into the ends. 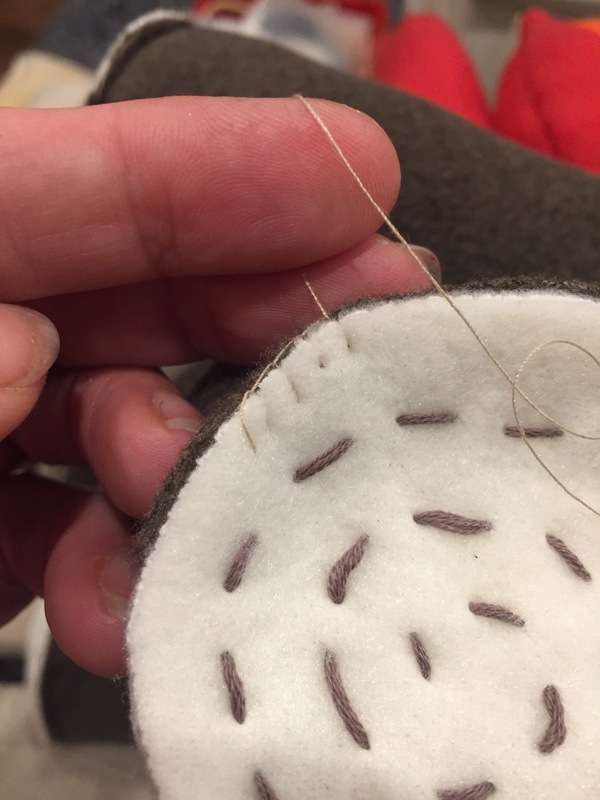 Then I used a blanket stitch to attach the ends to the tube logs I sewed earlier. 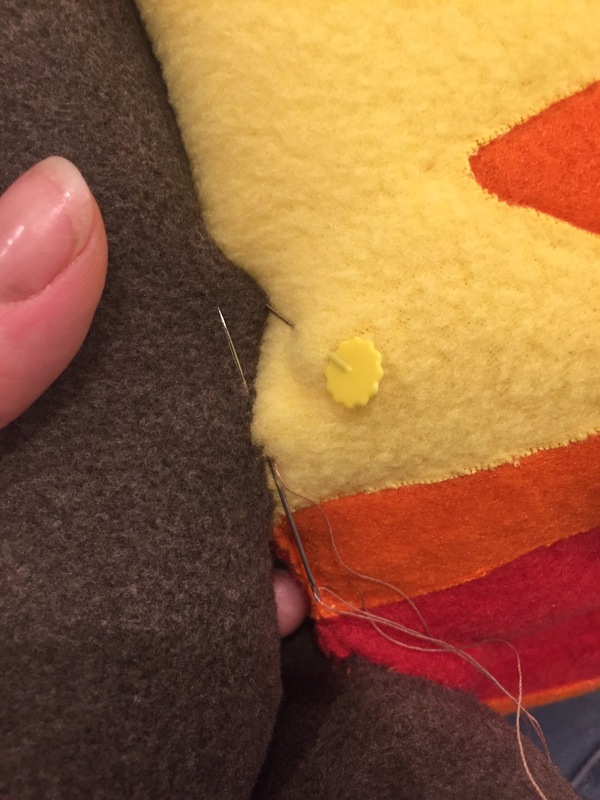 After stitching the end on one side of the log, I stuffed the log with stuffing and repeated the process on the other side to stitch the log closed. All together I ended up making four logs. I tried stacking everything, and it just didn’t stack right using three logs. Then, I pinned everything together. 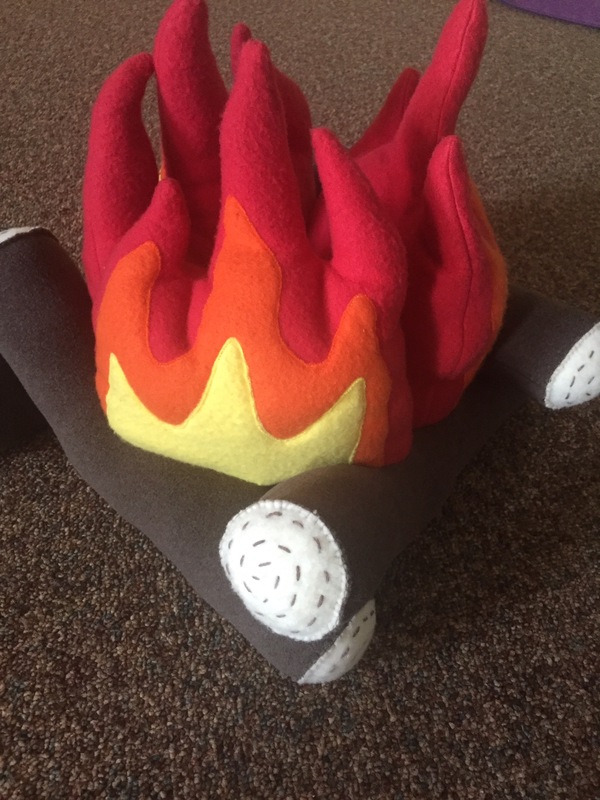 I just put a single stitch to hold the the three flames together, in a triangle shape, and I pinned the logs to the flames. I stitched them all together by hand. It took a little bit of fiddling to get everything to sit right. 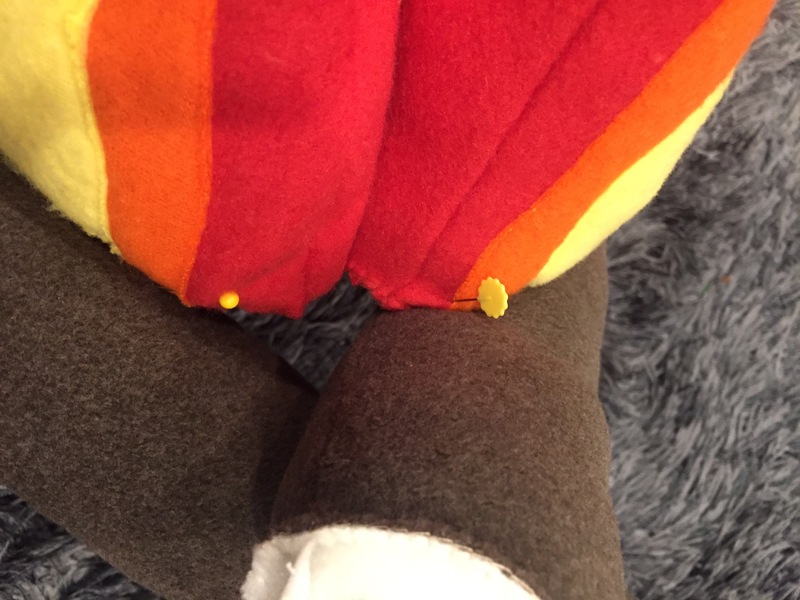 Here is a close up of how I used an invisible stitch to put everything together. It was a great little project that took me a couple weeks, because I just worked on it after the kids went to bed while we were watching tv. As for the finished project….The kids really enjoyed it. 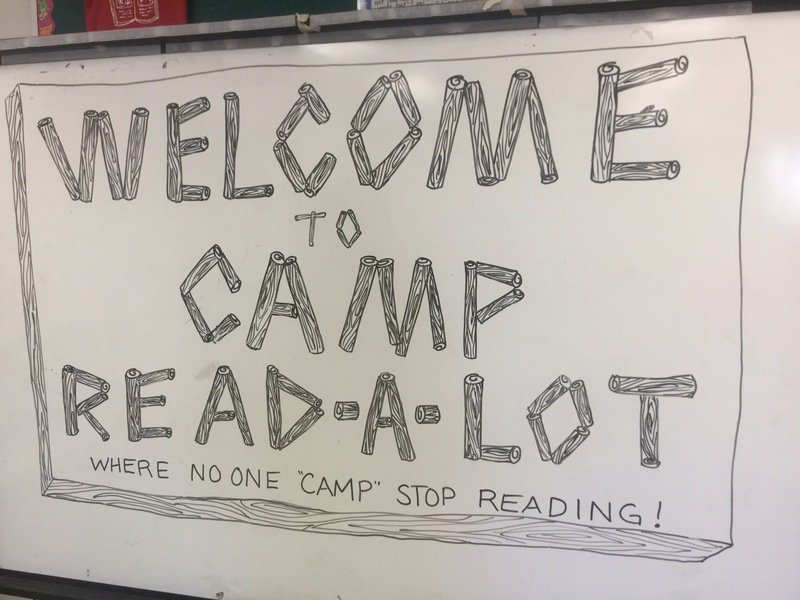 I set everything up (more pictures below) and the kindergartens were very excited about camping. 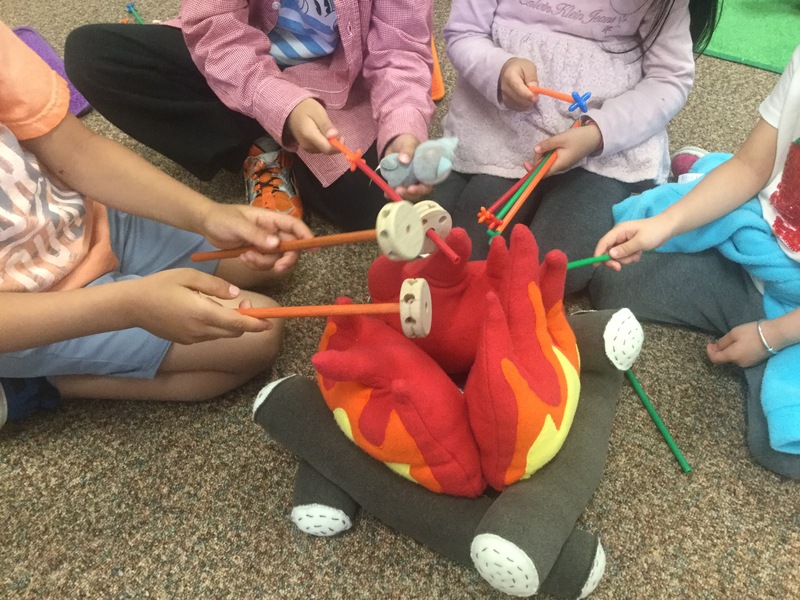 After playing for a while, we decided we needed to do some cooking, so we got out some tinker toys and made marshmallows to roast. 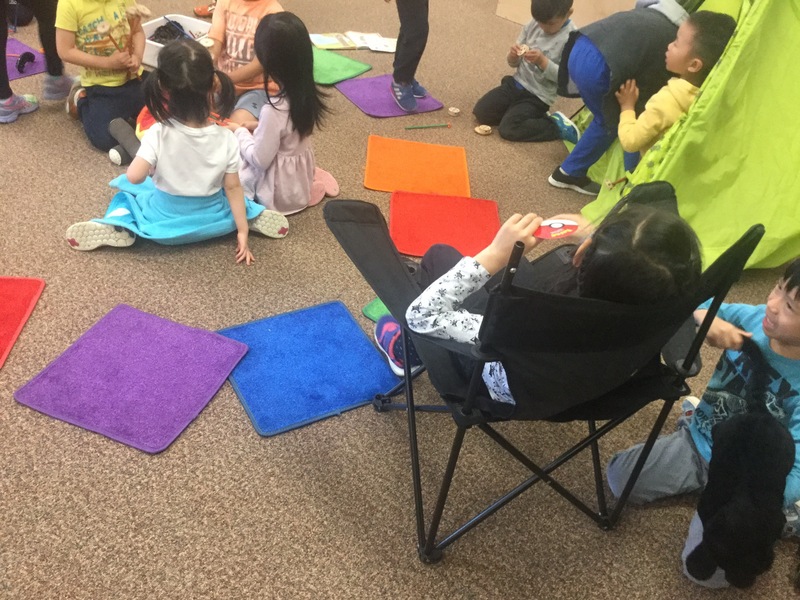 I also brought in a folding chair, and tent… as you can see, it was a pretty popular activity. 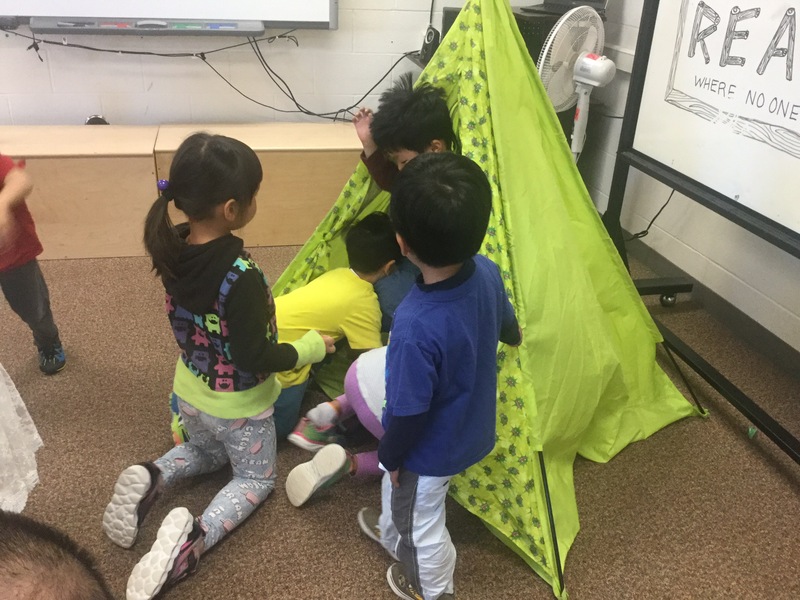 The tent was a real hit too! Here is what my set up looked like before a hundred kindergarten kids got to it! 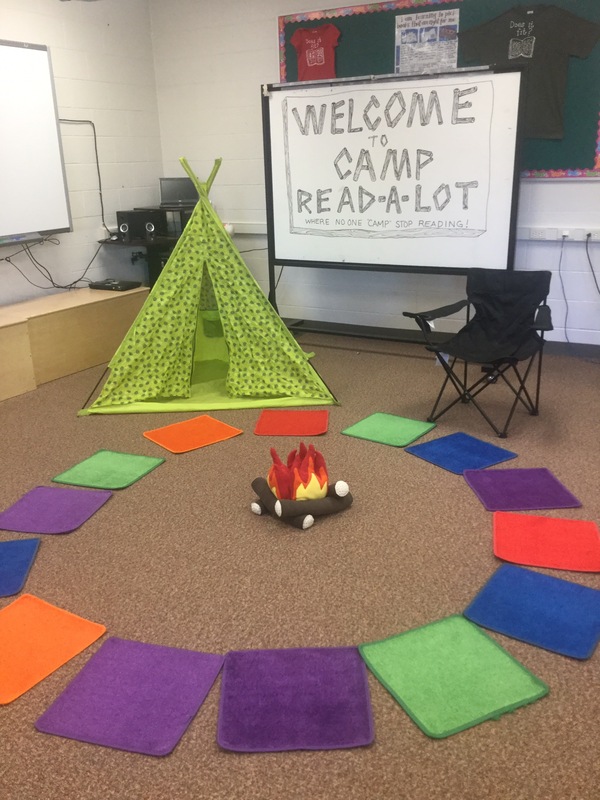 Next time, I will bring in a few more chairs, and maybe sew some s’mores too! As it is summer holidays, I’m going to do my best to post a few of the projects I have done the last few months. I have a bit of a backlog of projects to share right now 🙂 We are also on our second renovation this year, so I’d love to share some pictures of the finished rooms too!